Blizzard on the Boulevard at Belmont University in Nashville, Tennessee, November 27, 2017. 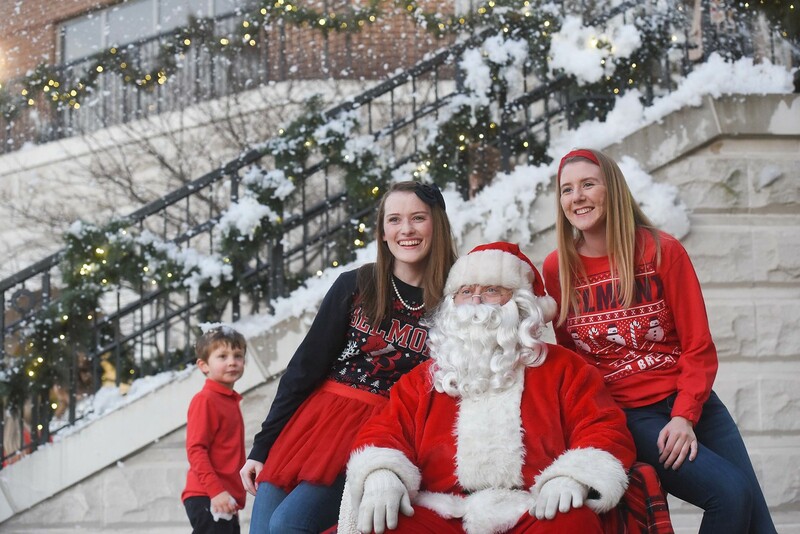 Belmont University bundled up on Monday evening, Nov. 27, to host its third annual Blizzard on the Boulevard, an event celebrating the beginning of the Christmas season across campus. Held before the Battle of the Boulevard, Belmont’s annual basketball game played against Lipscomb, the celebration included snow machines, holiday treats, Christmas carols and Santa himself. Students, faculty, staff, alumni and community members gathered around the Christmas tree on Belmont Boulevard to kick off the night’s activities, including cookie decorating and face painting. Attendees demonstrated their Christmas spirit by donating spare change to Ms. Cheap’s Penny Drive, the 9th annual event benefiting Second Harvest Food Bank. The Blizzard on the Boulevard is an annual event put on by the University Staff Advisory Council and co-sponsored with Athletics, the Office of Student Engagement and Leadership Development, Sodexo and the Student Government Association.